The week before last I took part in the Purition challenge. What’s that I hear you ask? Let me tell you some more. Purition are a UK company who offer a range of 100% natural products to support a range of health and fitness goals. They sent me a pack of their Bodysculpt Wholefood Super Shake – a high protein and fibre super shake designed specifically for women to help aid weight loss and help sculpt and tone. What appealed to me about taking part in this challenge, which involved having a Bodysculpt shake for 6 consecutive days, was the fact that this is an all natural product. No added sugar, no aspartame or other sweetener, nothing artificial at all. Low GI, plenty of protein and fibre and a good source of Omega 3 made this seem like an interesting product to try out. It fits nicely with my clean eating regime. It comes in three varieties – chocolate, coconut and pistachio. I opted for chocolate as my favourite flavour out of those on offer. Now I should at this point say that if you don’t like nuts and seeds then this product probably isn’t for you. You can see the seeds when you open the packet. And it’s not like your average whey protein powder, as to enjoy it as its best you really need to blend it with milk of some sort. You can’t just shake it up with water as I do with my usual supplements. The people at Purition recommended that I try it as a post workout recovery drink or as breakfast on a rest day. I generally work out early in the morning and don’t eat before doing so, so I combined both of these and had it for 6 days as a post workout breakfast. To make it up I put the recommended amount of koko milk into a shaker, added 5 scoops of Bodysculpt, some kind of fruit depending on what I fancied or had available and sometimes some fat free Greek yoghurt and blitzed it all up with a hand blender. One morning, for a change, I tried it sprinkled on top of some Greek yoghurt mixed with fruit. I really liked it. It’s got a grainy texture but when blended with milk and berries it makes for a very filling shake. It kept me going until lunchtime on most days. My favourite addition was blackberries but it also worked really well with raspberries and blueberries. Less so with nectarine – that worked better when I cut the fruit up, added it to yoghurt and had the Bodysculpt mix on the top. So would I buy it again? I already have. 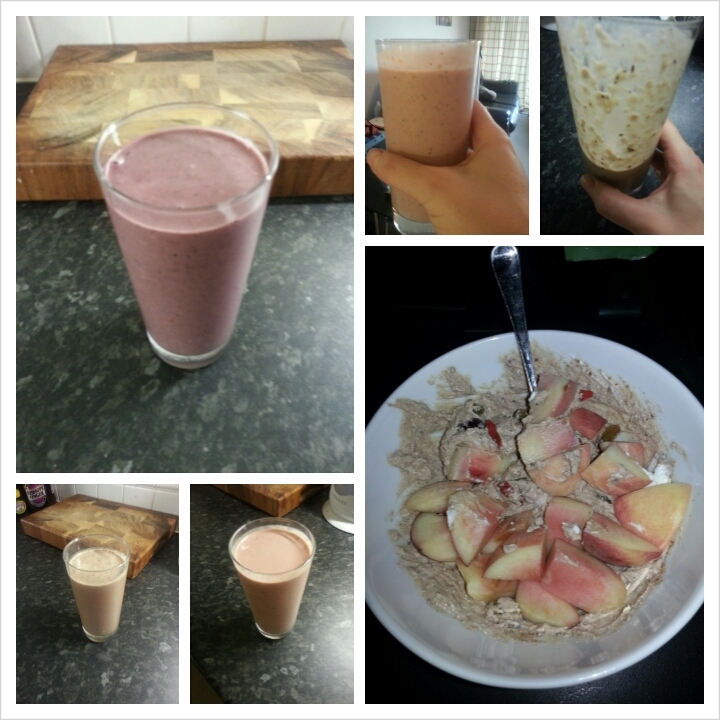 One week on from the challenge and I’ve already had it a few times for my breakfast. A lovely new addition to my list of clean breakfasts. A 500g packet of Bodysculpt costs £19.95 with discounts for larger orders. If you’re not sure whether you’d like it you can buy a single serving 50g pack for £2.50. 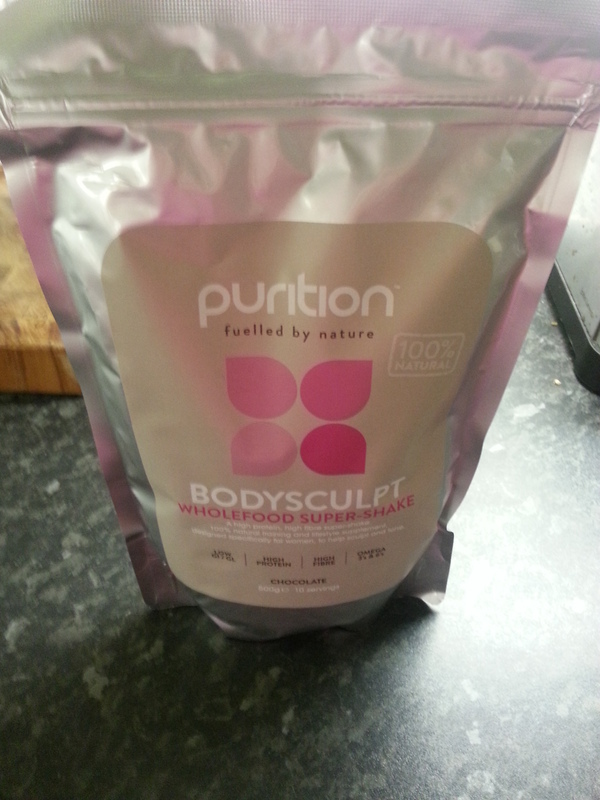 Thanks to Purition for sending me Bodysculpt to try out. Previous Sometimes you need to look back…..
Next How I got faster at running by not doing very much running….